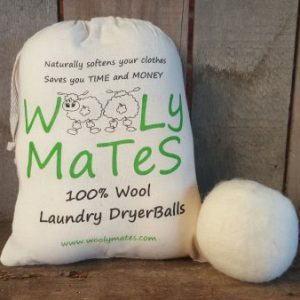 Wooly Mates Laundry Tumble Dryer Balls are triple felted from pure Australian wool. 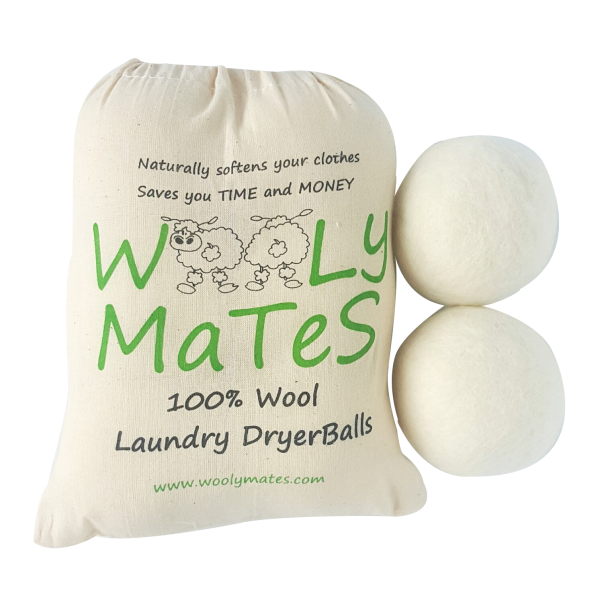 Reduce tumble drying time, save energy, save money. Soften clothing and bedding and reduce static and wrinkles. 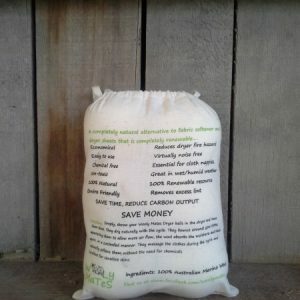 Handmade in Australia by a local Special Needs community in rural Victoria. 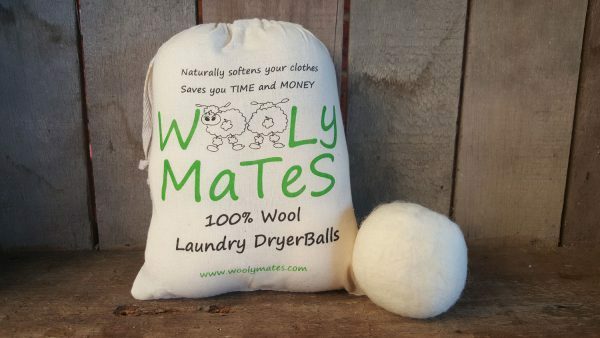 A natural alternative to using toxic commercial dryer sheets and fabric softeners. No animals were harmed in any process of making the wool, all made from new materials. Wool is natural antibacterial and not harbour bacteria, therefore they are generally safe for people with sensitive skin. Wooly Mates Dryer Balls are very popular for modern cloth nappies, as they do not damage the fibres or reduce the absorption abilities. Performance of dryer balls can vary depending on the make and model of the dryer. As each ball is hand-crafted, characteristic differences may occur individually. Appreciate their uniqueness but be confident they all perform equally. 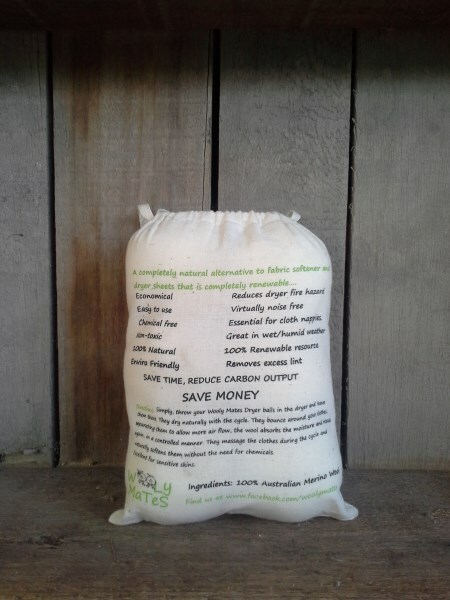 Each set comes in a natural cotton drawstring bag with all the directions ON the bag – perfect for a gift or just to store them.